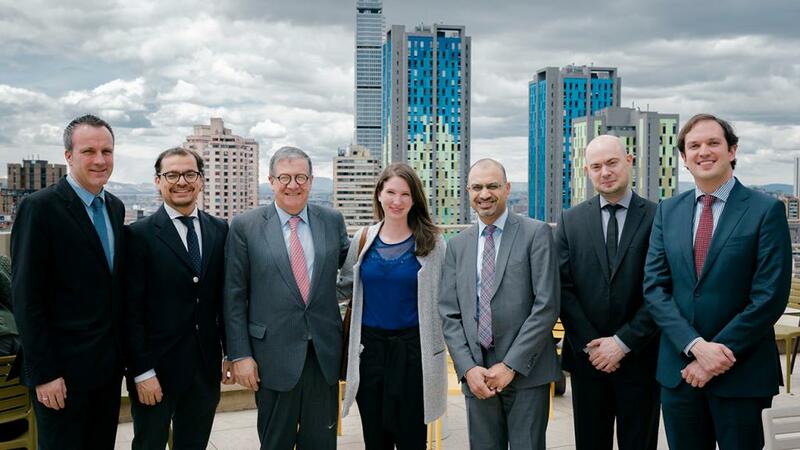 The team from the Justus Liebig University Giessen during their visit to Colombia with Pablo Navas - vice-chancellor of the Universidad de los Andes. 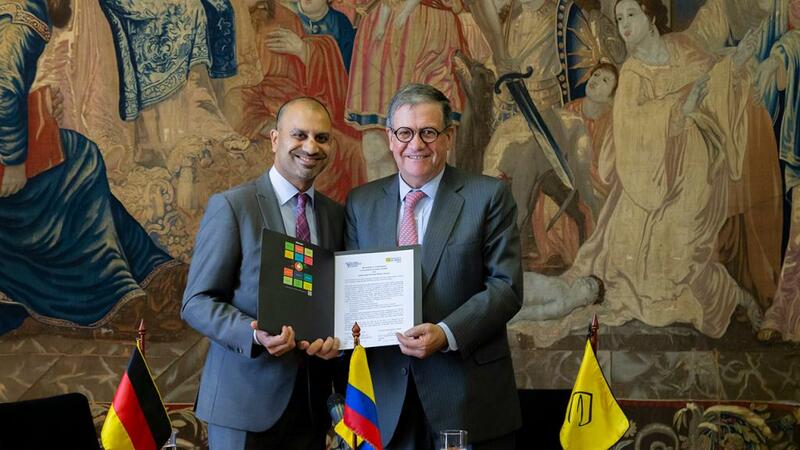 The main objective of the Information Exchange Center, which will be created both in the University of Giessen and the Universidad de los Andes, is to promote the exchange of students, teachers, and researchers between Germany and Colombia. 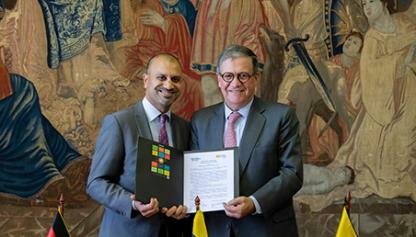 Joybrato Mukherjee, vice-chancellor of the Justus Liebig University Giessen in Germany, and Pablo Navas, vice-chancellor of the Universidad de los Andes signed the partnership agreement that will join efforts in strengthening scientific cooperation and promoting study programs from both universities. “This is the first agreement of this kind that we have made at Giessen, where we have established an information exchange center and offer infrastructure for Los Andes´ office in our university” said Joybrato Mukherjee vice-chancellor of Justus Liebig University Giessen. He added that these information centers will be helpful to facilitate recruiting students and scientists from both countries, explain the education systems, and strengthen the relationship between Giessen and Los Andes, which has already lasted for fifty years. During the signing of the agreement, Vice-Chancellor Pablo Navas highlighted the bonds of friendship that have been constructed with the University of Giessen since 1967 when a cooperation agreement was signed between the German university and the Latin American university. 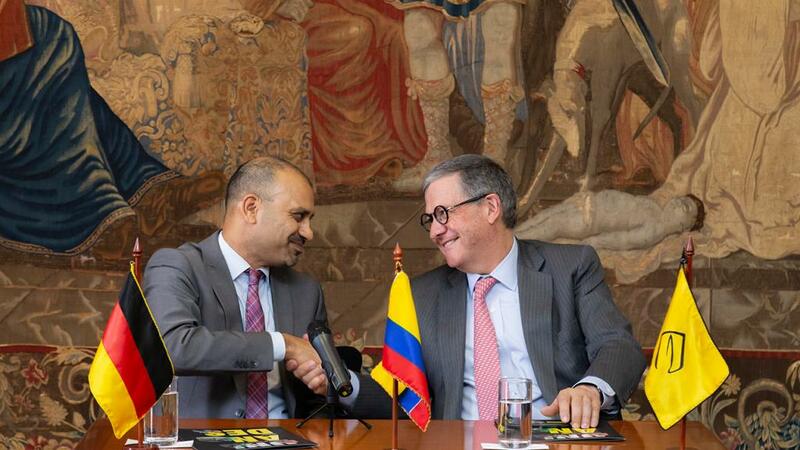 Since the agreement was signed, the two institutions have continuously worked together to promote scientific and academic development in Colombia.